Research shows that poor communication is one of the leading causes of misunderstandings and conflicts in the workplace – especially between employees and employers. Issues often arise when new hires do not possess the same values as their co-workers or employers. A clear and well-written employee handbook (that employees actually read) is the antidote to these common issues. 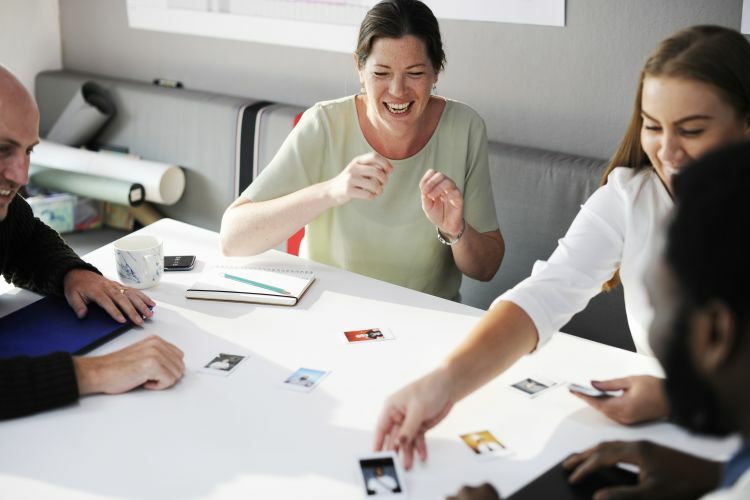 A disconnect between a new hire and the values of the company he or she is joining can have far reaching consequences impacting performance, employee satisfaction and retention. It can even impact the bottom line. It is therefore imperative that employees share the same values as the organization, and understand why this is important for them and the long-term growth of the business they work for. We’ve all heard the saying “hire for fit, train for talent”. In other words, it is far more important to hire the candidate that fits your team – and shares the same values – over the candidate who brings the technical skills because skills can be taught, whereas values cannot. For example; If your organization values teamwork, but your candidate prefers to work solo, this individual will likely have trouble collaborating with others – which could cause problems for the full team, and ultimately result in an HR nightmare. Values are the building blocks of company culture. In this modern day, your company culture is critical to keeping your employees happy and driven to put their best feet forward everyday. Employing workers with the same values result in a culture that self-perpetuates – increased retention means that your team is stronger, more cohesive and far more productive. Studies show that companies with strong values and company culture tend to be more successful. Zappos is considered a market leader when it comes to living by their corporate values – Other companies can observe Zappos employees living what they preach in office tours, and Zappos even offers a 3-day immersive workshop for others learn from them. CEO, Tony Hseiah, says “Our whole belief is if you get the culture right, then most of the other stuff, like delivering great customer service or building a long-term brand or business will just be a natural byproduct.” Leaders like Zappos are living proof that virtues are a workplace game changer. They teach us to focus on hiring a team with the same values, rather than forcing employees to live your organization’s values. What are the company policies at your organization that, if not followed, can result in dismissal? Every common cause for dismissal at your organization should be addressed in your employee manual. Common causes that are recognized in the court of law are: poor performance, dishonesty, absenteeism, theft, lateness and off-duty conduct. For each of these causes, be clear about how dismissal/discipline is handles at your organization. For example; is there a performance management program to help alert employees when their performance is lagging? Are there certain causes that your organization has zero tolerance for? Once these common causes for dismissal have been captured in your employee manual, make sure your legal team reviews these policies before publishing and distributing your employee handbook to your workforce. Don’t just share your employee handbook – ensure your employees have read it. Although not required by law, ensuring your employees have read your handbook by requiring their signatures makes your company policies legally binding – employees are now responsible for knowing the information in your employee manual. Asking for a signature will also increase the likelihood that this manual will be reviewed and taken seriously, as people are naturally more likely to read something that requires their signature. At AirMason, we offer an efficient way to manage and track this process with our “digital signatures” feature. Learn more here. This handy Acknowledgement: Handbook Receipt template from SHRM provides high-level tips on what should go on this page. Make sure this page especially is reviewed by an employment lawyer!